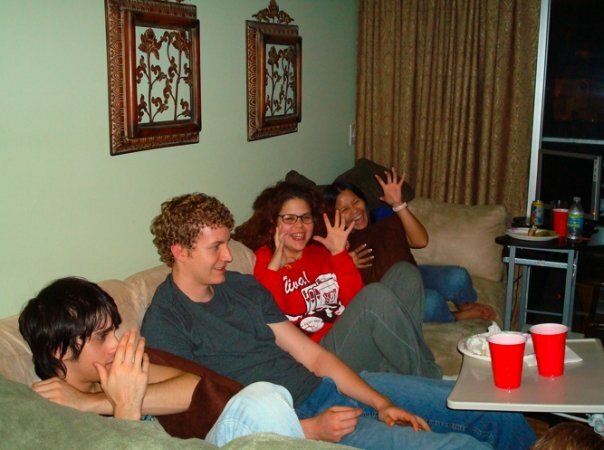 This year will be the first time Adam and I have hosted a Superbowl party since 2008! I flipped through old pics last night and was so SHOCKED at how young everyone looks at our last party! I guess 2008 really was that long ago! We were still in college! 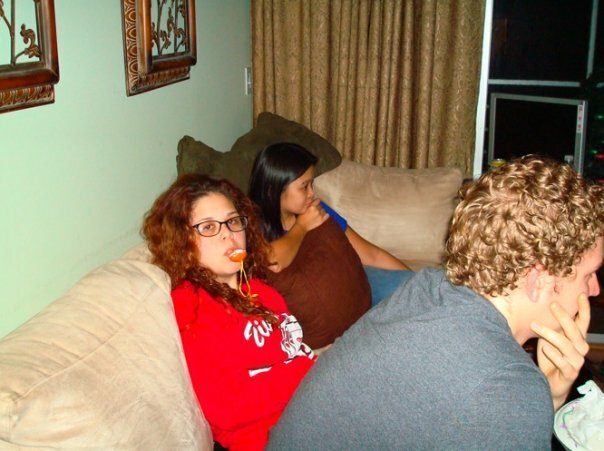 I’ll never forget the 2008 party because we invited too many people over and didn’t have enough space for everyone to have a seat so I sat on the floor! While the Red Solo Cup and junky snacks were featured at our old SB parties, this year we’ll try to go a bit healthier (but not too healthy since it is a Superbowl party after all)! One fun Superbowl party related thing I’ve come across on a couple of sites are lists of Superbowl Fitness Challenges! Here are a few that I thought I would share with you! Touchdown Pushups – Every time your team scores a touchdown, do a pushup for each point they earn (so 7 pushups for 7 points). Every time the opposing team scores a touchdown, do DOUBLE that mount (14 pushups)! Penalty Crunches – When your team gets a penalty flag thrown at them, you have to do crunches. Do one crunch for every yard penalized and multiplied by five. For example, if there is a five-yard penalty then you do 25 crunches (5 x 5). Burpee Coach Challenge – If the coach of your team wins a red flag challenge you will celebrate by doing as many burpees as you can in one minute! Start of Each Quarter – Do five pushups. First Touchdown of the Quarter (for each team) – Do 10 alternating lunges. Whenever a Time Out is Called – Do 20 mountain climbers. For Every Commercial Break – Do 10 jumping jacks. Every Time There is a Touchdown – Do 7 burpees. During the Halftime Show – Do a 1 minute wall sit. For Every Touchdown – Complete 20 pushups. For Every Field Goal – Complete 20 squats. For Every Extra Point – Complete 5 pushups. For Every Safety – Complete 50 jumping jacks. For Every First Down – Complete 10 ab classic crunches. If you scroll down in the HuffPo article you’ll see a bunch of other options from Interception Arm Circles to a Time Out Knee Highs! Some of these are a little redundant, so you might want to just pick and choose your favorites from the master list and put together your own Superbowl fitness challenge. Once I get into the game I’m not sure how often I’ll remember to do any of the challenges, but it’s the thought that counts, right? Aaaaaand just because I haven’t posted this pic in a while, here’s Cecil from 2008 right around the time we hosted our last Superbowl party :). He would like you to know that he was merely tolerating the shirt. He says for me to use the #FirstWorldCatProblem hashtag. 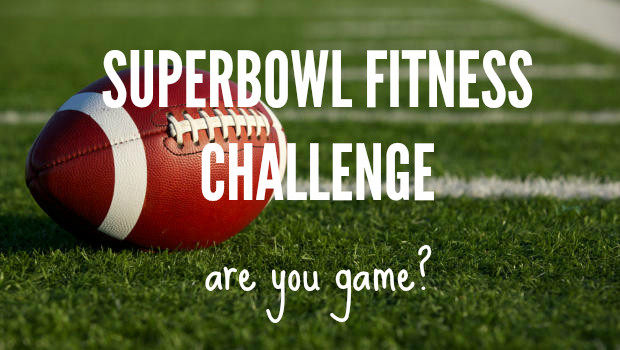 Are you up for doing any of the Superbowl Fitness Challenges? Do you think your friends would call you crazy for trying to make them participate?! Previous Post I Have a Question for You! Ha I didn’t know those types of fitness challenges existed. Very clever. Unfortunately I have a few beers and eat way unhealthy so no way I’m participating lol. Hahaha I hear ya! I like the IDEA of participating in the fitness challenges, but implementation of them during the actual game doesn’t seem very likely! I have never hosted a SB party! That is a lot of work!! I think it would a lot of fun if everyone participated in the challenges. I find it amazing how pictures even just a couple years old seem to make everyone look so much younger!! 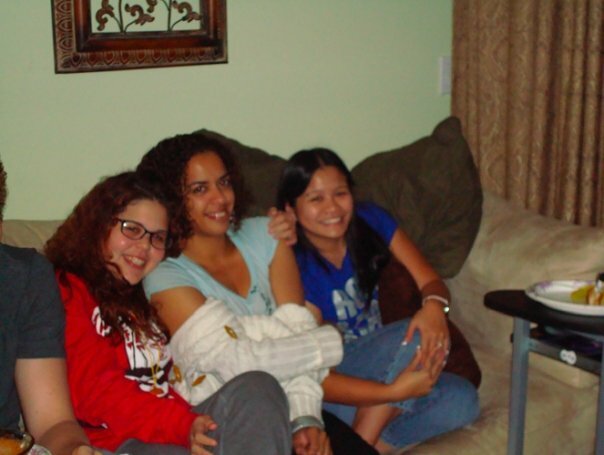 I like looking at older pics just to laugh at our fashion greats and rockin’ hairstyles!! Cecil looks so handsome in that shirt. Also a little grumpy, but he clearly got over it. Have fun at your superbowl party! Let us know if you end up doing any of the fitness challenges. My friends would kick me out of my own house if I suggested such a thing, lol. 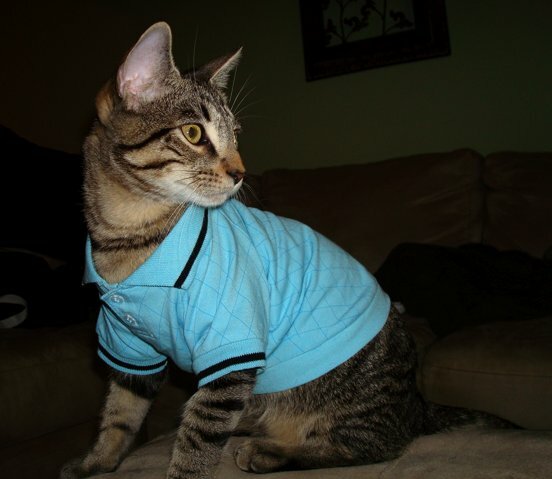 I miss when Cecil would wear shirts all the time! He has a cute one that says King of Hearts on it that I LOVE! He just hates shrits now so I let him live the nudist lifestyle ;). My friends would probably push me down the stairs if I suggested this haha! Have fun at your par-tay! My friends would be into that (we like bizarre challenges) but we’re actually just hanging at home this year! I would be up for this but I’ll probably forget about it once I get into the game. I usually try to do at least 50 squats per quarter during football games, 25 lunges each leg, etc. just to keep moving so I don’t get too stiff from lying on the couch. I think I’ll likely end up forgetting about the challenges once the game starts too, but it’s the thought that counts! If I miss out I won’t feel too bad since I have seven miles on the sched. for Sunday morning! NO WAY would it EVER go down in a bar! How embarrassing and just totally gross! I’m pulling for the Pats this year since they’re in our division! haha…my kids would kick me out. We jump up and high 5 for TD does that count??? So excited for the game–GO PATS!!!!!!!! We will be snacking for the game (and, yes, I have the sour cream and onion Pringles!). I like to splurge! YES that counts and I hope you get to do a lot of jumping up and high 5ing this Sunday! Oh, I like these challenges. I have my Super Bowl menu all planned out & will be trying some new recipes. Can’t wait! Is there a football game happening?? We are having a group of friends over and they probably would not be surprised at all if I proposed this challenge. Unfortunately, I think I would be the only one doing the “fitness” part of the challenge. The guys would probably turn it into some sort of drinking game. Honestly, if the game is anything like the playoffs, my heart rate will be skyrocketing. Cecil melts my heart in that outfit. I wonder if Benny would let me do that. Haha. A drinking game-fitness challenge combo could be really funny!